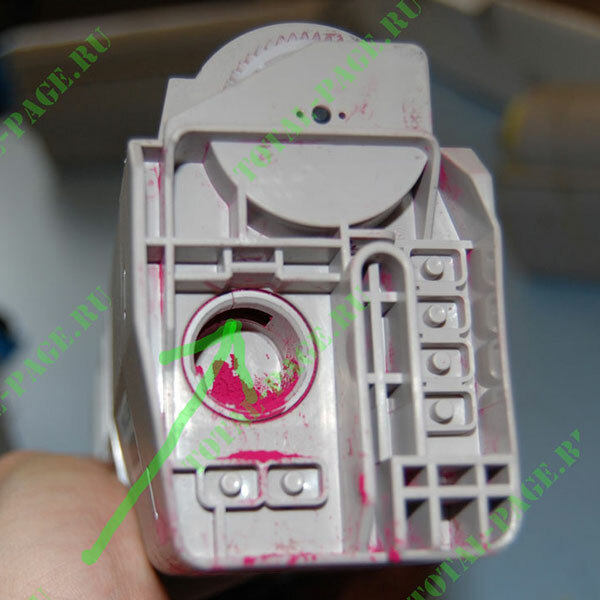 In this article we’ve decided to discuss a number of issues related to refill and maintenance of color laser printer OKI C610. Popular printer was impossible to refill for a long time due to the lack of working chips. And only recently appropriate chips appeared in the market, moreover from two manufacturers at the same time. 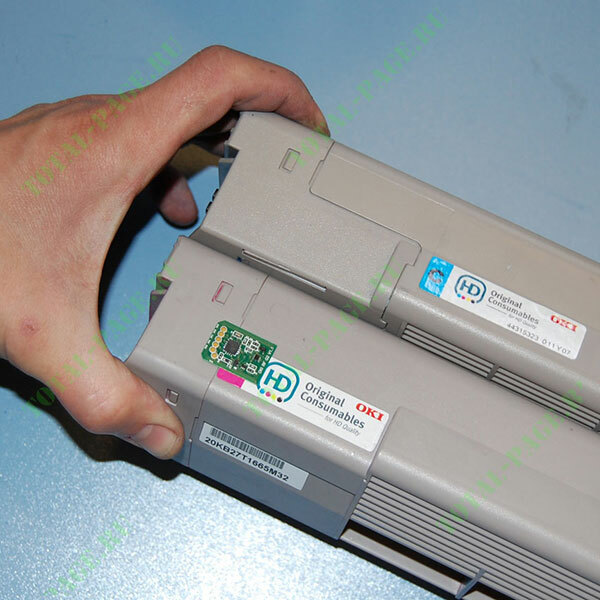 Despite the fact that OKIC610 is designed on the basis of OKI C5600, if fact it’s a completely different printer. First of all, the design is new. Until now printers had the same design and looked like standard office machines of the 90s. The second innovation is the improved paper feed mechanism, positive effect of which can be felt when printing labels, leaflets and banners. 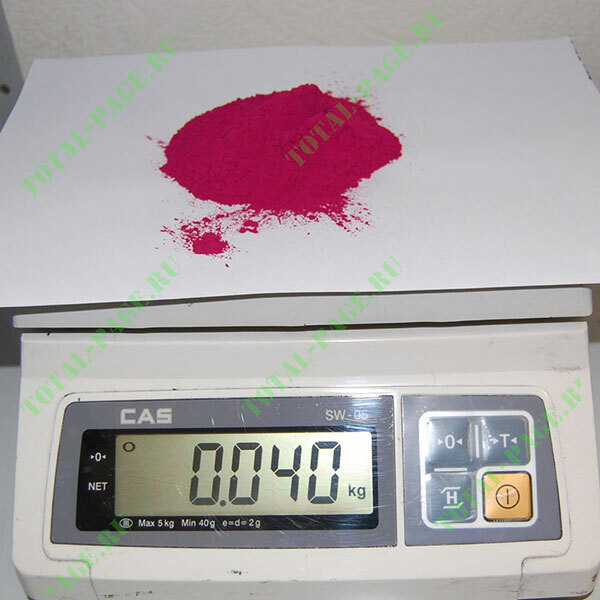 The quality of printing became significantly better and this despite the fact the formula of OKI toners has not been changed over a long period of time. 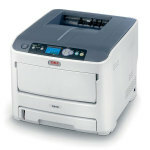 OKI printers have their technological platform, developed in isolation from other manufacturers. OKI printers have nothing in common with other similar device except the fundamental principle of xerography. Traditionally OKI cartridges are made of two separate parts. 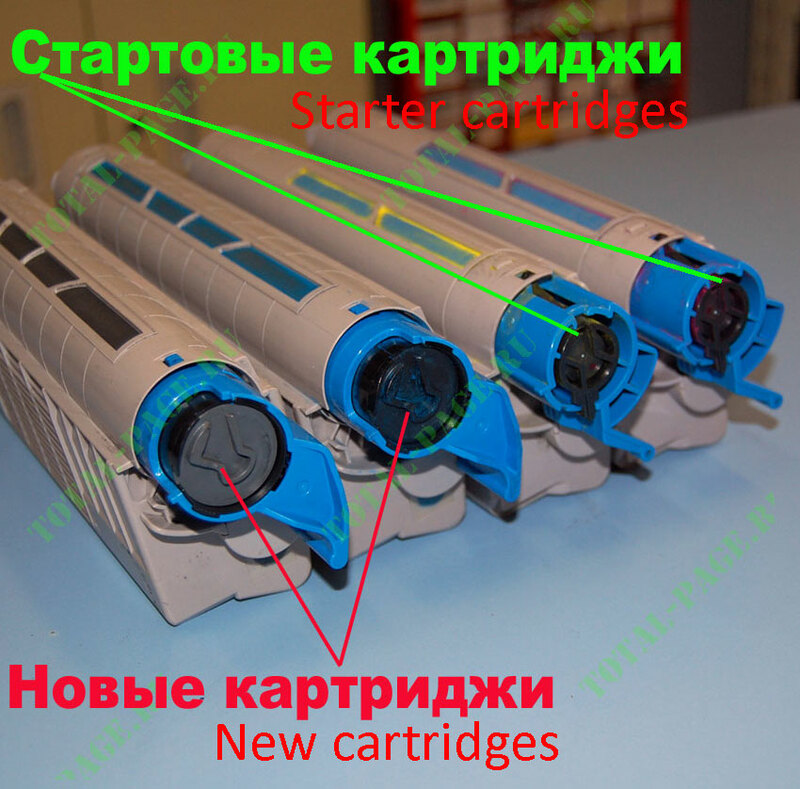 Toner cartridge made as a tube is subject for refill, inside it has to chambers, for waste and new toner. If refilling carefully the life is almost infinite (within the resource of the printer). Images printed on a printer OKI have “super gloss” effect. Gloss on printed images allows to make the print more bright and contrast. But not all compatible toners for refilling are glossy. 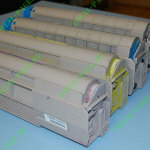 I recommend to use toner by American company StaticControl for cartridges OKI. 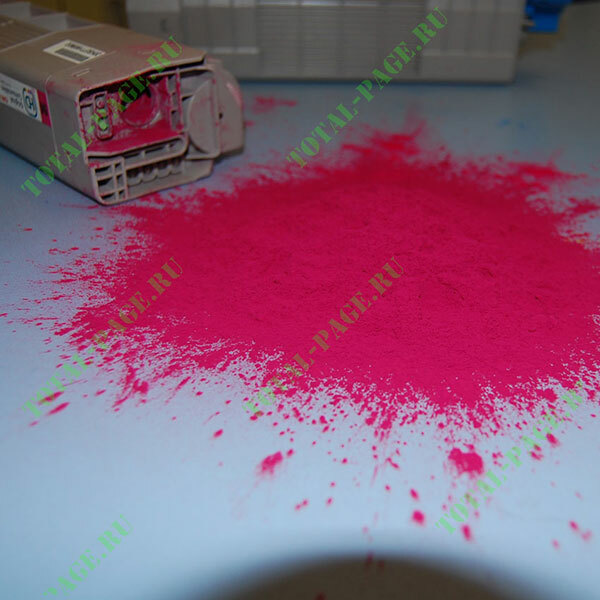 SC toners surpass original toner and are less abrasive. If using SC toner and high quality paper (from 80g/m2) drum cartridge is rated for 40,000 copies without any printing quality losses. Cartridges OKI are easy to refill. 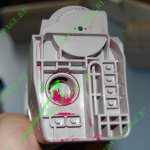 Before refilling you have to pour out the waste toner through the hole for cartridge refill. 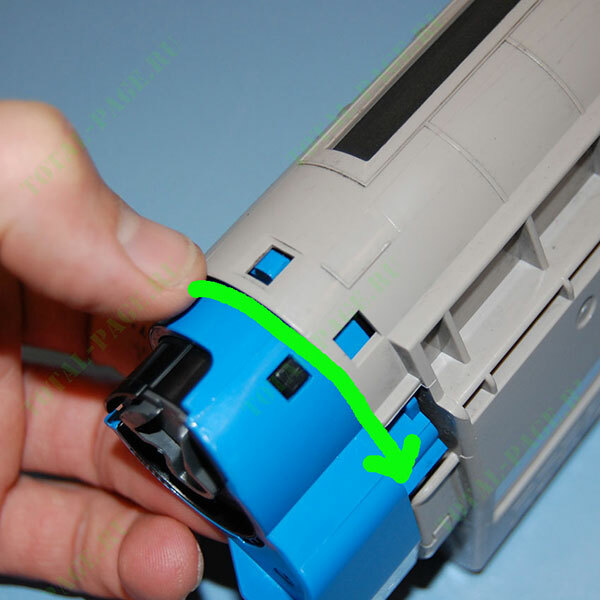 The cartridge is made so that you need to rotate blue lever until it stops, only then the hole will be opened. 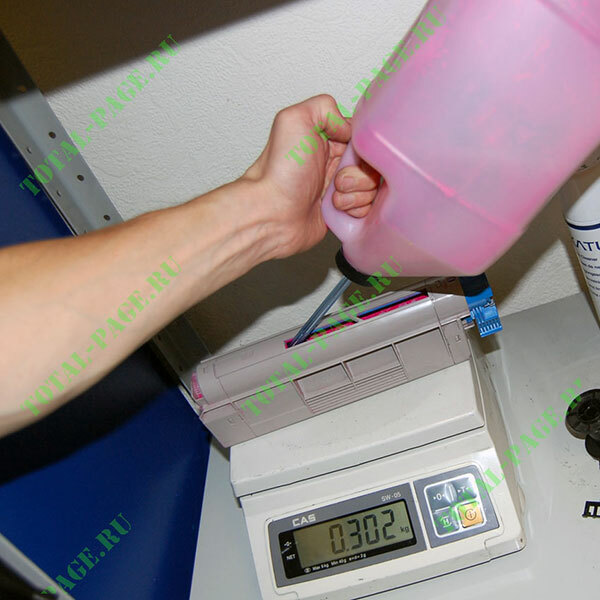 Cartridges can hold up to 40 grams of the waste toner. 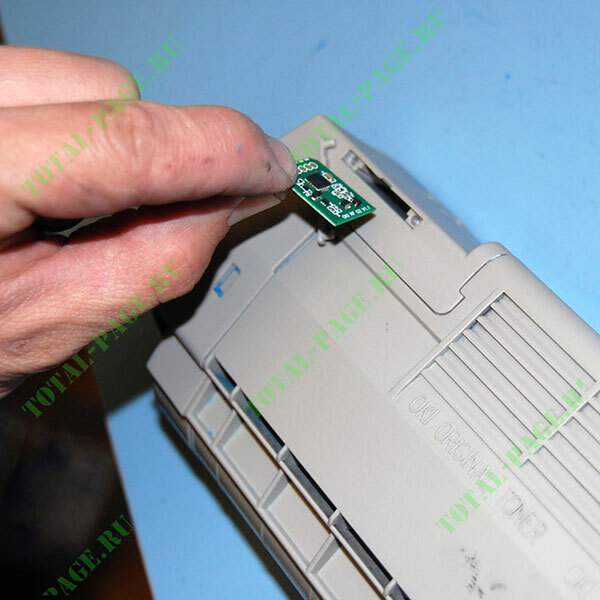 The hole for cartridge refill is comparatively small, so you need to shake the cartridge intensively for a few minutes to get all the waste toner out of it. If some waste toner remains in the cartridge there is a chance that the transfer belt will break and you will have to buy a new drum cartridge. So now it remains the case for small – to fill cartridge with toner. 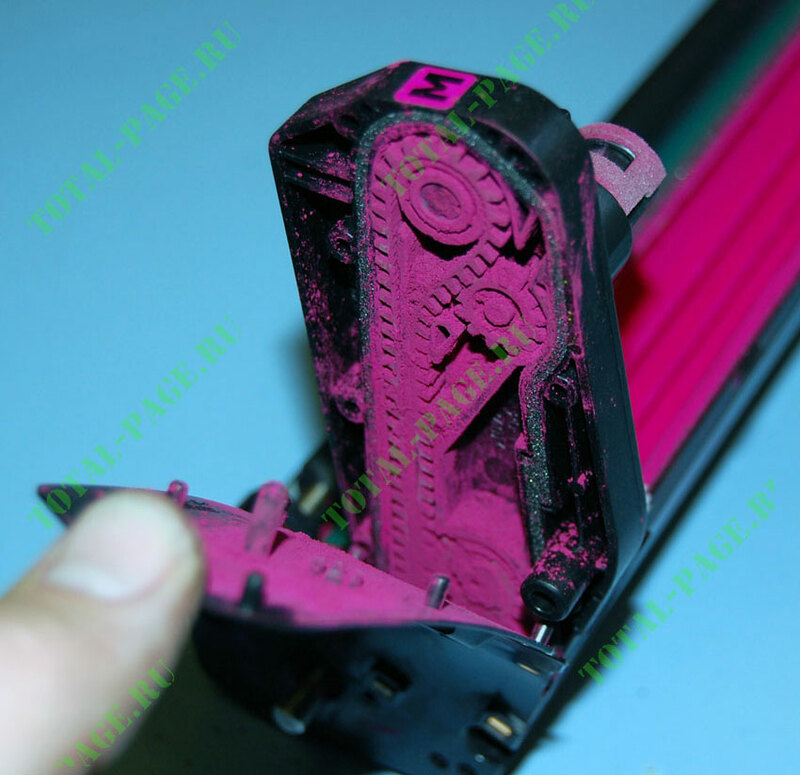 The cartridge is filled with toner through the same hole through which it gets to the printer. 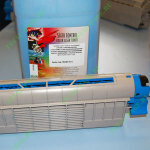 You will see s slit on the bottom of the cartridge, use it for refilling. The unit can hold up to 170gr. of toner. By the way, starter cartridge can hold the same amount of toner but the chamber for waste toner in it is significantly smaller. 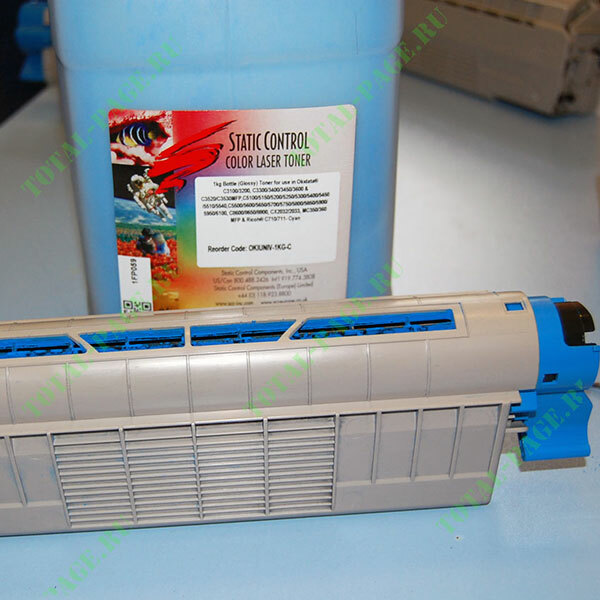 Using StaticControl toner the chamber never gets full, it was proven repeatedly. Having filled the cartridge turn the blue lever again, thereby locking the chambers with toner and waste. Next you need to replace the chip in the cartridge. To do this, take out the cover on the side of the cartridge and set a new chip instead of the old one. Attention, starter cartridge is not equipped with cavity for chip and you have to stick it with double-sided tape on top (see the photo on the right). Cartridges OKI C610 are easy to refill at home, the main aspect is usage of high quality toner. However, not everything is as easy as it seems at first glance. 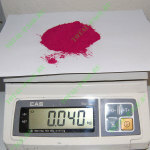 Toner StaticControl is advantageous to buy only in a kilogram package. 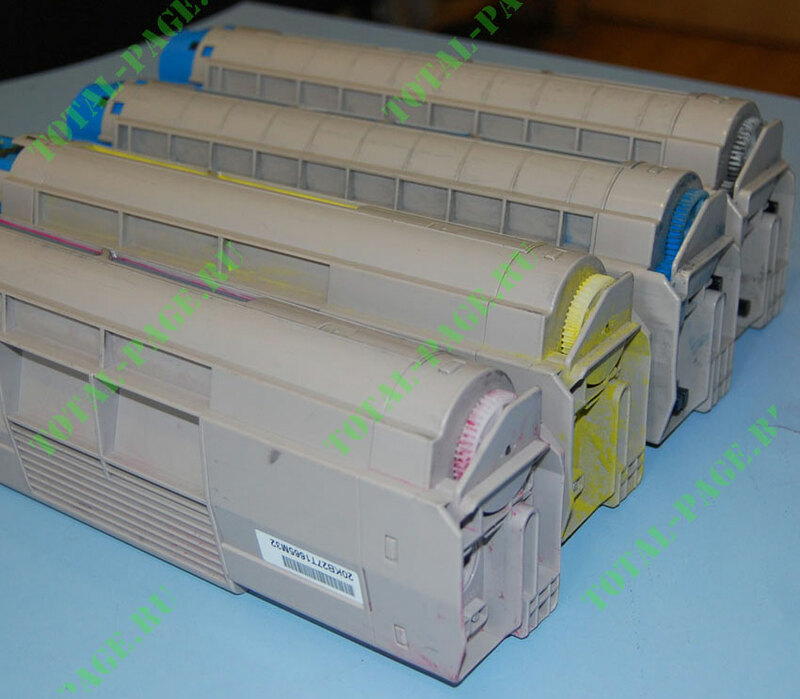 If you purchase a small portion of toner for on filling, the entire benefit of self refilling comes to naught and it’s better to apply to service center for expert help.